You may scroll historical data using left-mouse drag on the chart. To scroll historical data, left-mouse click on the chart and drag the mouse to the left. This requests historical data from the Financial Market Data Server (FMDS). 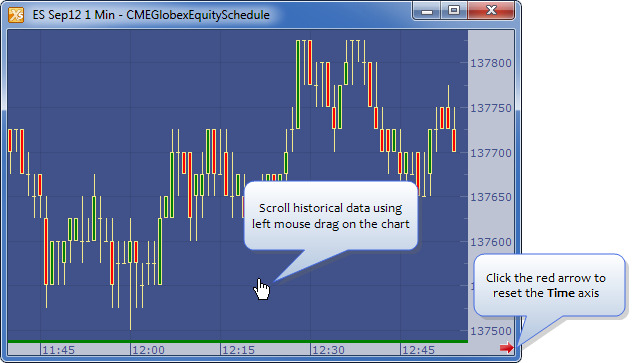 At any time, you can click the red arrow to reset the Time axis back to the right-hand edge of the chart.